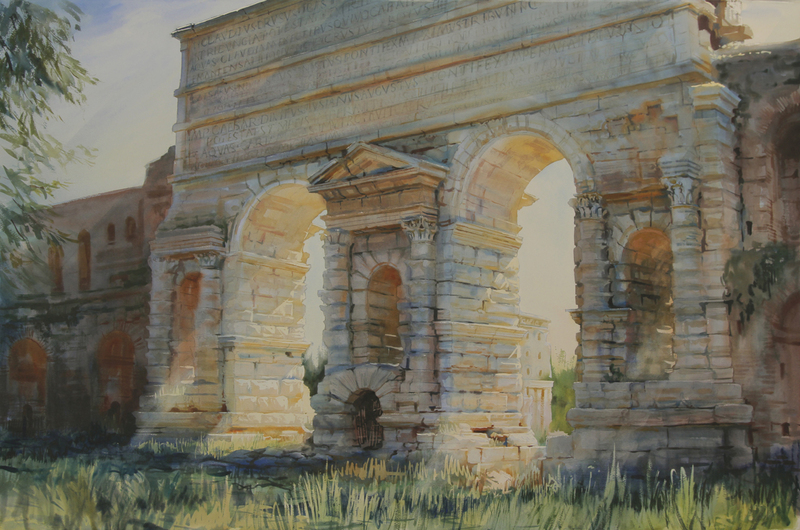 A trip to Rome is, for the artist – well, this artist at any rate – a necessary ingredient in artistic good health; like regular tooth-brushing, it helps prevent the onset of decay, of the eyes, the brain and the soul. It had been some years since my last visit to Rome so in June I took the family for a week, a trip to revisit old architectural friends for us and to introduce our children to the origins of our culture and architecture. On arrival, our first point of pilgrimage was to the Pantheon, that perversely simple and geometrically charged temple to whichever deity you revere. Ours rewarded us immediately with a surprise treat as, while gazing upwards into the dome, we physically bumped into our great friends from New York, Richard & Alexa Cameron, also gazing upwards in awe! This serendipity set the tone for our peregrinations over the week together, around the Eternal City, to Hadrian’s Villa and Tivoli with the Camerons, then north to Villa Lante, Bomarzo and Caprarola on our own.